A beautiful way to reflect your love for nature! 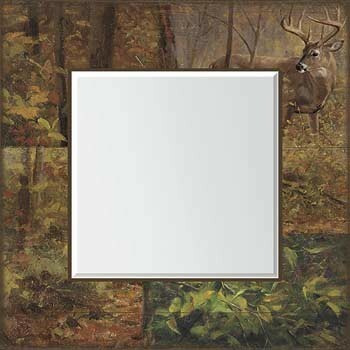 The serenity of a fall day and the rush of sighting a magnificent whitetail buck mesh perfectly on the frame of this eye-catching Whitetail Deer Scenic Mirror. Mirror, 13" x 13"; Frame, 22" x 22"